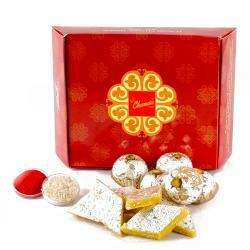 Product Consists : Mens Black Leather Wallet along With Assorted Dryfruit Sweets (Weight : 200 gms) and Pack of Roli Chawal. 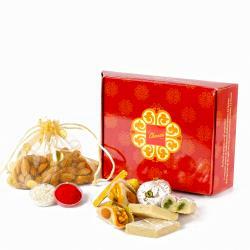 Give your brother the best ever treats on the special occasion of Bhai Dooj with this delicious and alluring gift hamper. 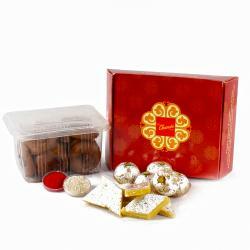 Mens wallet comes in black leather material with assorted dryfruit sweets this gift pack is sure to uplift his taste buds especially when it is ended with the rich taste. 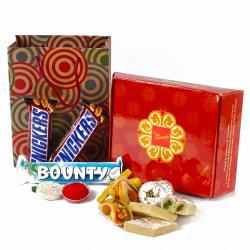 Surprises don t end just here a beautifully Bhai dooj Tikka included in this hamper. It would be a great favor to serve those delicacies to family and guests. The entire Bhai Dooj hamper is accompanied by roli chawal container. 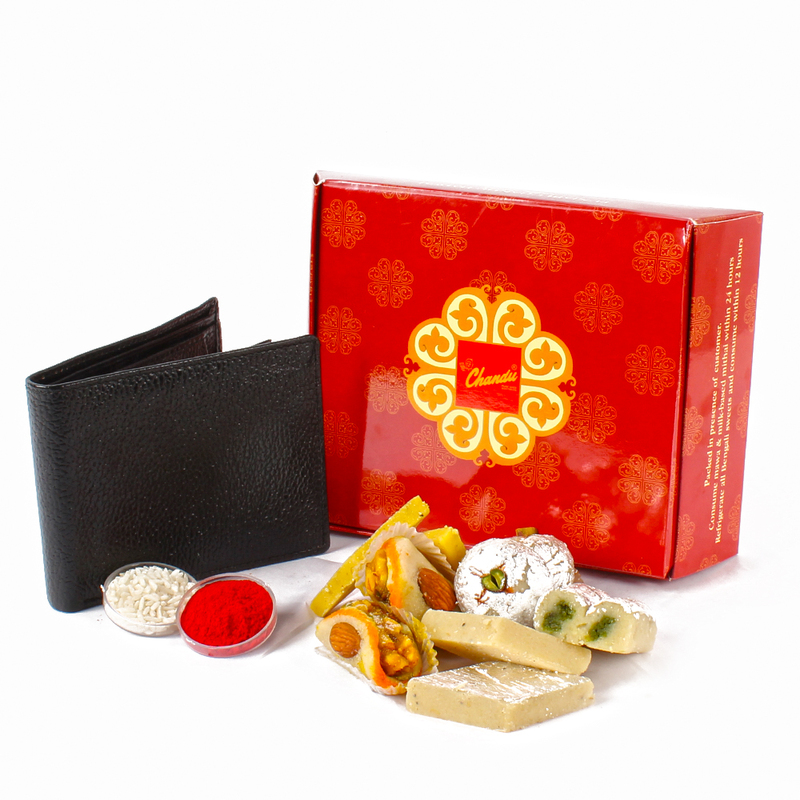 Product contains : Mens Black Leather Wallet along With Assorted Dryfruit Sweets (Weight : 200 gms) and Pack of Roli Chawal.